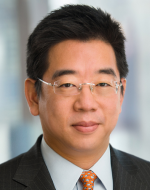 H. Young Shin, head of Skadden’s Korea practice, is based in the Seoul office and has worked on a wide range of matters, including mergers and acquisitions, energy-related investments, joint ventures, project finance, real estate development and investments, and corporate finance transactions. Mr. Shin worked in the firm’s New York office for 15 years before relocating to Seoul. He is recognized by Chambers Global and Chambers Asia-Pacific as one of the leading lawyers in the region. – Simone Asset Managers in its real estate investment in vacant land in California and a hotel in Manhattan, New York. Founded by Marshall Skadden, Les Arps and John Slate on April Fools’ Day in 1948, Skadden began as a scrappy upstart among a sea of established “white shoe” law firms in New York. Joe Flom was hired as the firm’s first associate later that year, and litigator Bill Meagher, the fifth partner to lend his name to the firm’s letterhead as it appears today, joined in 1959. Our first two decades were marked by slow and steady growth of our client base as we set out to establish ourselves as the go-to firm for our clients’ most complex legal problems. Our willingness to handle proxy fights in the 1950s and early 1960s — matters deemed “ungentlemanly” by white shoe firms — positioned us to ultimately become the firm of choice for the hostile takeovers that dominated the M&A landscape beginning in the 1970s. Recognizing the value of providing full-service advice to clients, from day one we sought to develop a range of complementary practices, like litigation, tax and antitrust. Client needs led us to open offices in other cities beginning in 1973, and the volume of work we were handling fueled exponential growth in the number of attorneys at the firm in the 1980s. That growth included a significant expansion of the practices we offered to clients, including restructuring, finance, real estate, mass torts and securities litigation, as well as the opening of offices in Europe and Asia. In the nearly three decades since, we’ve built on that platform to provide advice to clients around the world on their most important matters. Our core values reflect the ideals of our history, and we remain committed to providing excellent lawyering and unrivaled client service in all our work.